Hello my lovelies! Today I have a super exciting post. As many of you know, I have become really good friends with the lovely Kirsty over at FairyTales Nails - we've bonded over our addiction and literally talk all day everyday. For the last few months we've slowly been getting stuff together to do a swap, and finally sent our parcels to each other recently. Kirsty got me some amazing things so I had to share them with you. 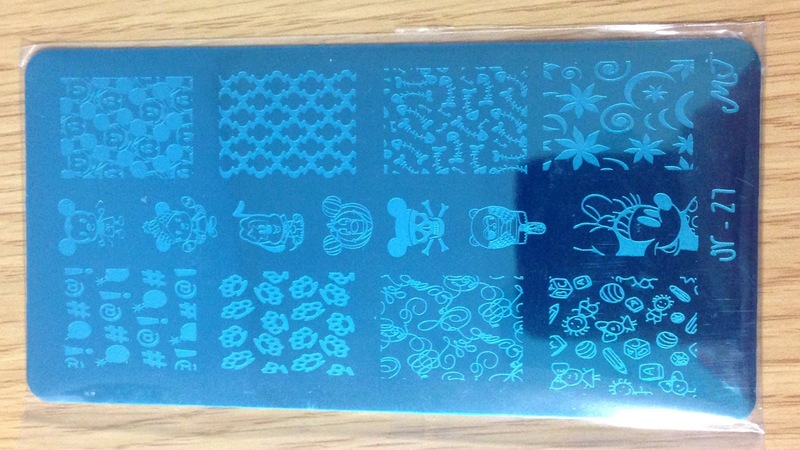 Before I'd even opened anything, I noticed a note on the box saying it was for my stamping plates. My current box is too small for larger plates so I definitely needed this, plus it's gorgeous! Read on for a look at everything that was inside! After a dig through the sweets and fun paper worms, the first thing I pulled out and unwrapped was this amazing thermal mug. I love it! It makes me happy watching the pattern come to life every time I make myself a drink. To try and keep this post a bit shorter, I will sort the rest into polish and then nail art items and extras. Kirsty took the time to wrap everything individually and added cute little notes - I would love to show you all but I would be here forever! As I don't have a Wilkinsons close by, Kirsty has assigned herself as my Essence supplier. These are my first ones so she went for a selection of pinks (my favourite colour - can't go wrong!) and a couple of other gorgeous polishes. I'm especially excited by the mint as I love minty shades. These are also my first Illamasqua polishes, and I'm excited to try them out! Both colours are gorgeous, I think 'Speckle' will be perfect for Easter time. I love both of these! I didn't know 'Secret Periwinkle' existed until recently. It is such a pretty colour and I don't think I have anything even slightly close. 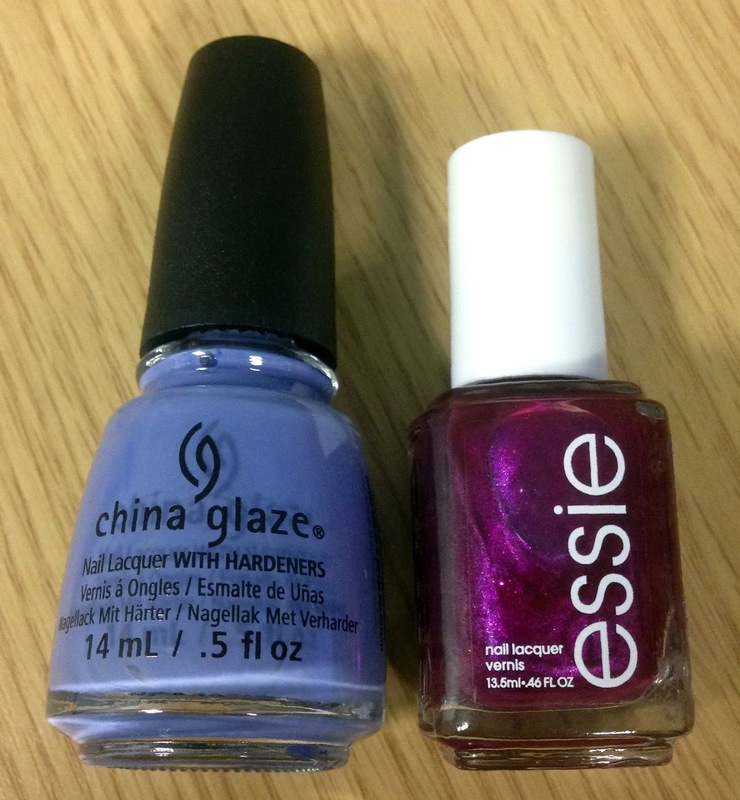 I'm not sure how I don't own periwinkle shades and I have a feeling I'll want more! I cannot stress how many times I've moaned to Kirsty that I didn't have a black stamping polish! It's something I've just never got round to getting, and I always end up settling for stamping other colours. 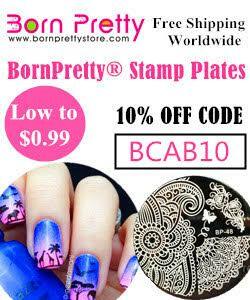 She has promised to get me more into stamping and it's working! 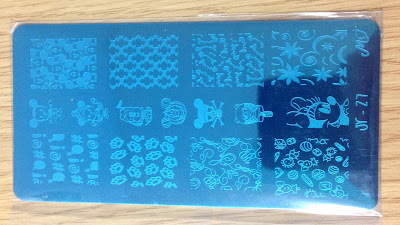 Kirsty recently bought and tested a couple of different clear jelly stampers. I was eventually planning on buying the one she recommended, but she's already sorted that for me! Hopefully I can stamp that bit more accurately now. How amazing is this plate?! I'm a massive Disney fan and I'm so excited to have a play with this! This might just be my favourite thing from our swap. The Mickey mouse heads in the top corner are screaming my name. Nail art books are another thing I keep saying I want and then never getting! I'm hoping with Easter coming up that I can find some fun springy designs to try and recreate. Again, these are both items I've been saying I need for the longest time. I have a couple of thick polishes that need a few drops of thinner, and I still tend to do my clean up with cotton buds - woops! The last item I have to show you is this nail polish addict wristband. Kirsty got one of these custom made for each of us - how cool! I've been wearing this constantly since I got it and I think it's amazing. So there we have it! Thank you so much to Kirsty, I love it all - you've definitely spoilt me! I'm sure it will all be popping up in blog posts over the next few months. What do you think of everything she got me? If you want to see what I sent Kirsty, you can read her post here. I already want to start gathering things for another swap! Love this post - seeing other people's nail mail is almost as fun as getting it yourself (almost). I particularly like all the fun nail art supplies! How fun! Love the box and the mug!! Wow, that's lot of interesting stuff! Swaps are so much fun! You got some really awesome stuff especially that mug!